An ongoing complaint here at Movie Churches is that films set in states are often not filmed there. For example, last week only 3 of the 10 films that were supposedly set in Wisconsin were actually filmed there. I’m sure you feel our outrage about this situation, but we have good news this week. All of the films set in Minnesota were actually filmed, at least partially, in Minnesota. Often, the Minnesota natives (usually the screenwriter) involved with the making of these films insisted. And sometimes the movie was set and filmed in Minnesota because the story was so darned Minnesotan. Filmmakers Ethan and Joel Coen were both born and raised in St. Louis Park, a suburb of Minneapolis. They’ve made a couple of films, Fargo and A Serious Man, in their native state. But we’ll save Fargo for a future week because it is not exclusively set in the Land of 10,000 Lakes. 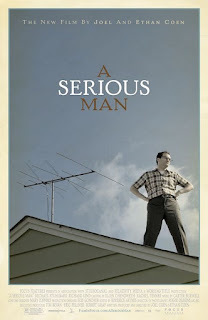 2009’s A Serious Man is set somewhere in Minnesota, and it follows Larry Gopnik, a modern day Job -- or at least a man who perceives himself as a modern Job. Larry faces a great variety of domestic trials, from a wife seeking divorce to run-ins with the Columbia Record Club. Larry begins to ponder whether God is trying to tell him something. Local rabbis take the place of Job’s friends and prove just as useful. 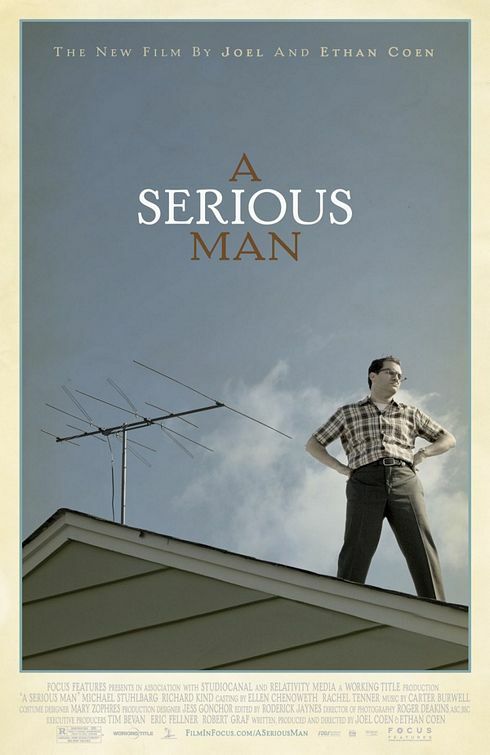 With the most dry of humor, the Coens ask where we can find meaning in life. One of many noted deaths in 2016 was songwriter and musician, Prince. In 1984's Purple Rain, Prince (full name Prince Rogers Nelson) starred in a semi autobiographical story about a budding rock star called “The Kid.” Like The Purple One, The Kid struggles to achieve musical greatness in the city of Minneapolis. Brook Busey-Maurio, better known as Diablo Cody, was originally from Illinois, but she moved to Minneapolis to pursue a career as an “exotic dancer” and then a blogger. And then she became a screenwriter. Most of her screenplays are set Minnesota, but 2011’s Young Adult was actually filmed there. In it, Charlize Theron plays a writer of youth novels (under a pseudonym) who decides to leave the big city of Minneapolis to visit the small Minnesota town where she grew up. Though she isn’t so young in years, she is in maturity. Screenwriter Lona Williams, a native of Roseville, set 1999’s Drop Dead Gorgeous in a small Minnesota town. The film features a number of starlets -- Kirsten Dunst, Denise Richards, Brittany Murphy, and Amy Adams -- as beauty contestants in a pageant that turns deadly. Mark Steven Johnson, a screenwriter and native of Hastings, was fortunate to have the elderly film icons Walter Matthau, Jack Lemmon and Ann-Margret star in 1993’s Grumpy Old Men, which is also set in small town Minnesota. 1998’s A Simple Plan was written by a guy from New Jersey (Scott B. Smith based the screenplay on his own novel) and directed by a Michigander, Sam Raimi. But the tale of three blue collar friends who find a million dollars of drug money works well in the background of a cold and unforgiving Minnesota winter. Though the creators (director Niki Caro, writers Michael Seitzman and Clara Bingham) of 2005’s North Country were not from Minnesota, the true story it’s based on is. It is a fictionalized account of the 1988 sexual harassment suit, Jenson v. Eveleth Mines, filed against a Minnesota mining company. It stars Charlize Theron (see Young Adult) and Frances McDormand (see Fargo when we get to North Dakota). The creators of 1992’s The Mighty Ducks are not Minnesotans either. Even star Emilio Estevez is from New York City. (An aside here, but of course Emilio is from NYC and not the Midwest. Is there anyone less Midwestern in the world than Emilio’s brother, Charlie Sheen?) But the film is about youth hockey, and Minnesota is certainly the home of youth hockey in the United States. Fortunately, Disney had the good marketing sense to not set or film in hockey’s other North American home, Canada. If you took a survey of what one person best represents the state of Minnesota, Garrison Keillor would very likely top the list. From 1974 until this very year, Keillor hosted a radio show of his own creation, A Prairie Home Companion. It’s a variety show for a great variety of musical talent, from folk singers to classical instrumentalists to country and rock stars. There were a number of recurring characters and skits with idiosyncratic cowboys, a family obsessed with catsup, and a Minneapolis detective named Guy Noir. The heart of the show was the stories Keillor wove about his fictional hometown of Lake Wobegon where “all the women are strong, all the men are good looking, and all the children are above average.” In 2006, director Robert Altman brought the radio show to the big screen as A Prairie Home Companion, with stars Kevin Kline, Woody Harrelson, Lily Tomlin, Meryl Streep, and, of course, Keillor himself.